Towing a boat takes some practice. 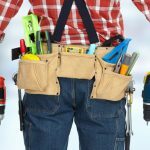 If you are new to towing a boat it is always best to do it with someone who has experience. No matter what type of boat or size of boat you tow, you will be faced with some unique dangers. 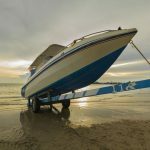 Here is a look at some simple tips to towing your boat safely. 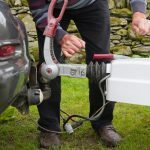 Always inspect your boat, trailer and hitch before moving – this is just commonsense but you will be surprised how many people don’t stop to give everything a good check. Make sure your vehicle and trailer are properly hitched, including the brake safety cable and the safety chains. Make sure your safety chains are crossed over to support the tongue of the trailer just in case something goes wrong. 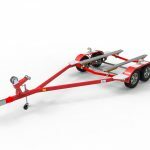 If there is any heavy gear on your boat, make sure it is in the centre of the boat and above the trailer’s axles. Your trailer tongue weight should be around 10-15% of the total load. If this is not the case, it is easy for the trailer to start swaying. Ensure your towing vehicle’s load is also even. Always check all your lights, brake lights and indicators are working properly before departure. 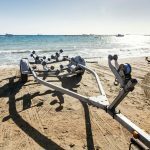 This is something that many of those who tow a trailer and boat start to neglect over time. Don’t let yourself fall into the habit of not going through a proper check each time before departing. 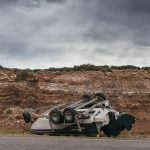 These tips will help you drive more safely when towing a boat.